1. Regulations require a certain degree of appraiser independence. According to Home Valuation Code of Conduct (HVCC) and other regulatory guidelines, only a lender's independent rep or its agent (AMC) may choose, engage, and compensate an appraiser. Furthermore, regulations require that loan production teams must not interfere with the outcome of the appraiser's assessment. By adding these layers of separation, we get to ensure compliance in the eyes of examiners while also allowing your loan officers to keep sight of all the necessary information. As part of our business model, SAMCO also brings your approved appraisers onboard to keep your company's connections running efficiently. 2. Mutual respect gets the job done smoothly and swiftly. Our employees address all questions and concerns with the utmost courtesy and respect, which our appraisers reciprocate as well. We are all working together on the same project to achieve a common goal. Respectful interactions empower the entire process to move toward completion, eliminating hiccups and expressing a true desire to succeed as a team. 3. Open communication builds trust and momentum toward the end goal. When any of our appraiser or banking partners call us here at SAMCO, they hear a friendly, human voice on the other end. Questions and concerns receive immediate responses and resolutions. Additionally, you will receive status updates on a regular basis, keeping you fully in the loop of your appraisal. Nothing is left on the back burner and you always have control over the information you wish to receive. 4. Honest and meticulous assessments pave the way to effective decisions. By using SAMCO for your AMC, you gain access to extremely detailed reviews of the appraisals conducted. Our review department monitors the reports for errors, checks that all criteria are satisfied, verifies compliance within regulatory requirements, and ensures necessary standards are met. Your appraisals come back to you in greater detail so your loan officers can make fully educated decisions. 5. Strong partnerships lead to higher quality results. When everyone works together efficiently, the job gets done better. Appraisers like working with us as our company ensures that our appraisers are paid their full fee within two weeks of completing their appraisals. Our financial institution partners know we review every last detail and manage the entire job to ensure a flawless result time and time again. SAMCO stands by you every step of the way to ensure your appraisal process is as simple and convenient as possible. 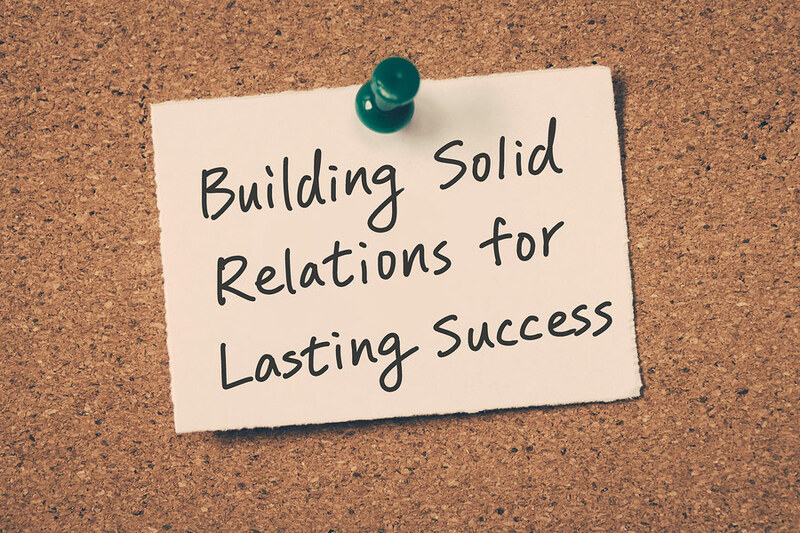 Building relationships allows for better teamwork and improvement in how we and our partners do business. SAMCO works with community banks and credit unions across the country, developing special connections with each client as we help them to refine processes, obtain detailed and accurate results, and of course, to save money. Our company pledges to always be available to assist where needed, working hard to ensure excellent service as we continue to build an effective and successful relationship together. If you'd like more information on our appraisal management services and how we build partnerships with our clients, contact us today!